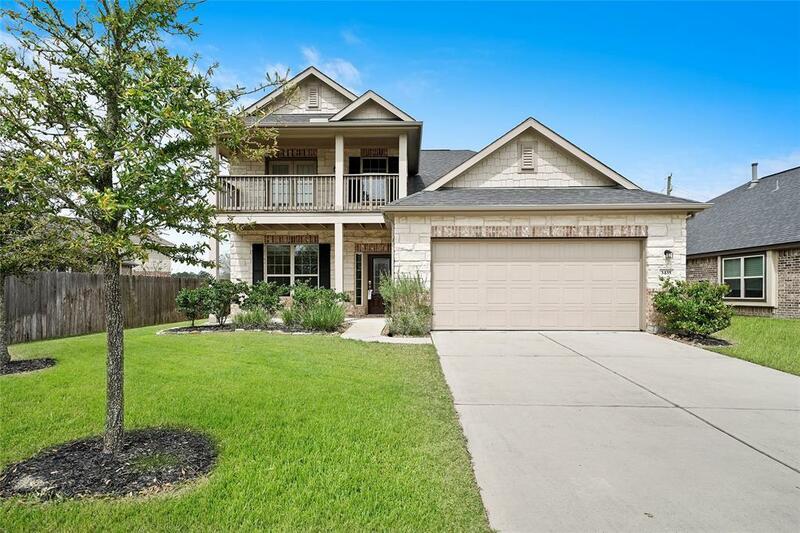 Welcome home to this lovely 4 bedroom 3.5 bath home with a stone and brick elevation in the master planned community of The Falls at Imperial Oaks. Great neighborhood with sidewalks, lakes & fountains, 2 resort style clubhouses, swimming pool, tennis courts, playground and a dog park. 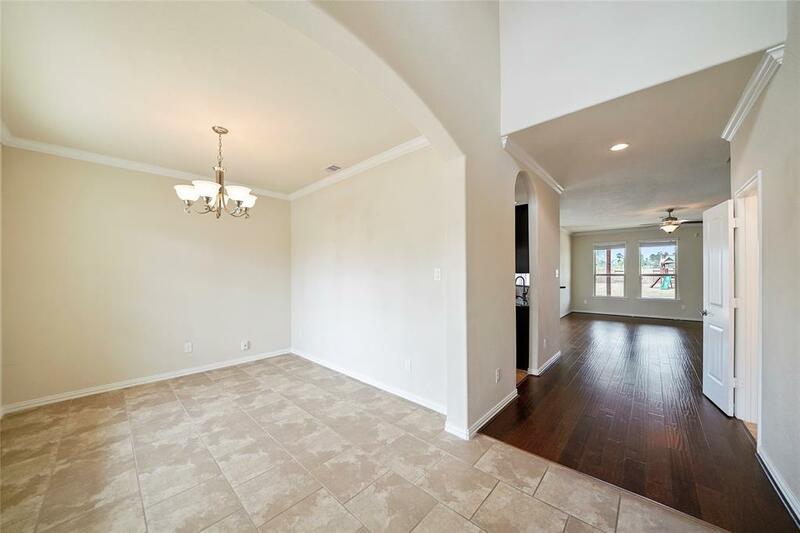 This home welcomes you with an open floor plan. Wood floors in living area. 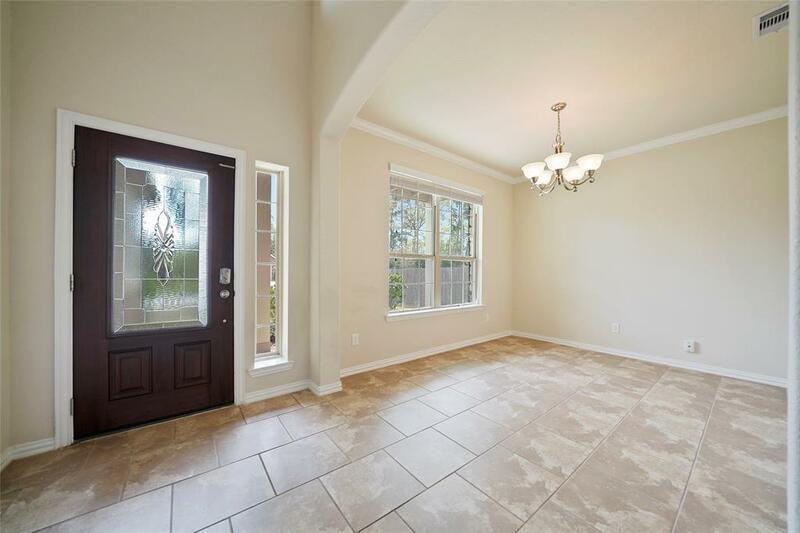 Kitchen has Granite countertops, tile backsplash, and stainless appliances including a side by side refrigerator. The master suite is located on the first floor and has an en-suite bathroom that features double sinks, separate shower, large soaking tub and a walk-in closet. 3 secondary bedrooms, gameroom and 3 full bathrooms are located upstairs. You will love the backyard with a large open space, extended covered patio and a fire pit. 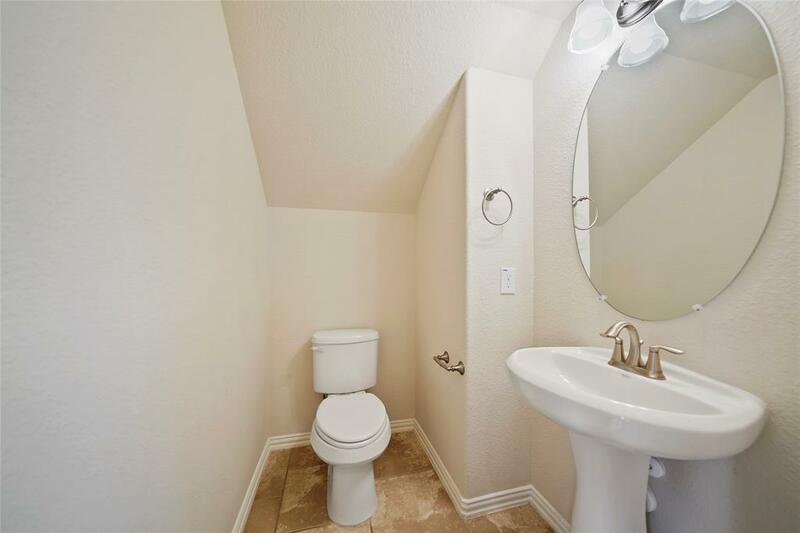 Convenient location with close proximity to I-45, the Grand Parkway and The Woodlands. Conroe ISD. New Grand Oaks high school. Make your appointment today to see this lovely home.